Sales volume is down, inventory is up, price increases slow down but stable. I see a balanced market in our future. April 3, 2018 A total of 688 properties sold in the Victoria Real Estate Board region this March, 25.9 per cent fewer than the 929 properties sold in March last year, but a 26.2 per cent increase from the month previous. The sales of condominiums were down 28.2 per cent from last year in March with 211 units sold. Single family homes were 30.8 per cent down from the year previous, with 337 sold this March. 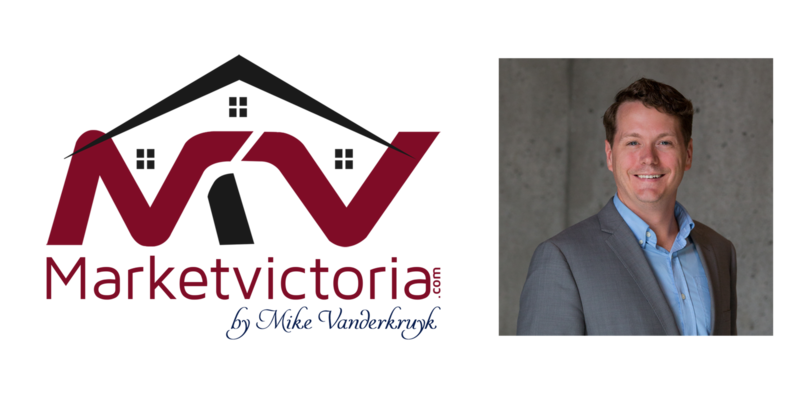 About the Victoria Real Estate Board - Founded in 1921, the Victoria Real Estate Board is a key player in the development of standards and innovative programs to enhance the professionalism of Realtors. The Victoria Real Estate Board represents 1,354 local Realtors. If you are thinking about buying or selling a home, connect with your local Realtor for detailed information on the Victoria and area housing market.